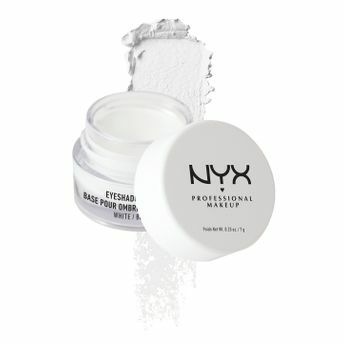 Maximize the intensity, longevity and brilliance of your eye shadow statements with NYX Professional Makeup eye shadow primer pots. Each of the NYX Professional Makeup Eye Shadow Bases creates a smooth canvas for colour, increases its durability and prevents fallout. To create depth, dimension and drama use our Eye Shadow Base in black to effortlessly increase shadow payoff. Intensifies any shade of eye shadow. Explore the entire range of Eye Shadow available on Nykaa. Shop more NYX Professional Makeup products here.You can browse through the complete world of NYX Professional Makeup Eye Shadow .Alternatively, you can also find many more products from the NYX Professional Makeup Eye Shadow Base range.